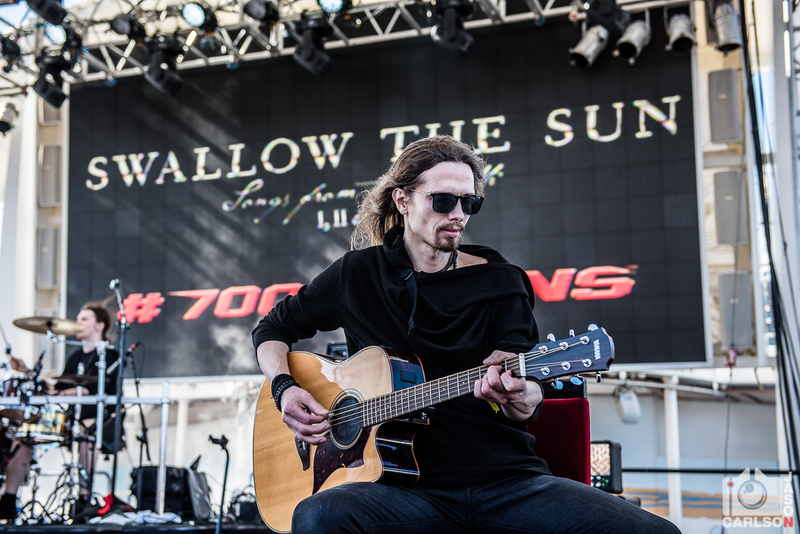 We are in the middle of the Atlantic Ocean on the Independence of the Seas, and after eight hours of sleep, a set played on the ship’s Pool Stage, and numerous beers, Swallow the Sun’s frontman Mikko Kotamäki needs a cigarette. 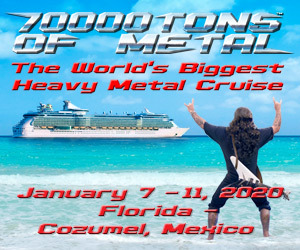 We step out on the balcony, a brisk breeze cutting through the warm air, to have a chat about the 70,000 Tons of Metal cruise, his band’s epic Songs of the North I, II & III triple album, and their three performances on the cruise ship that is on its way to Grand Turk in the Turks & Caicos Islands. 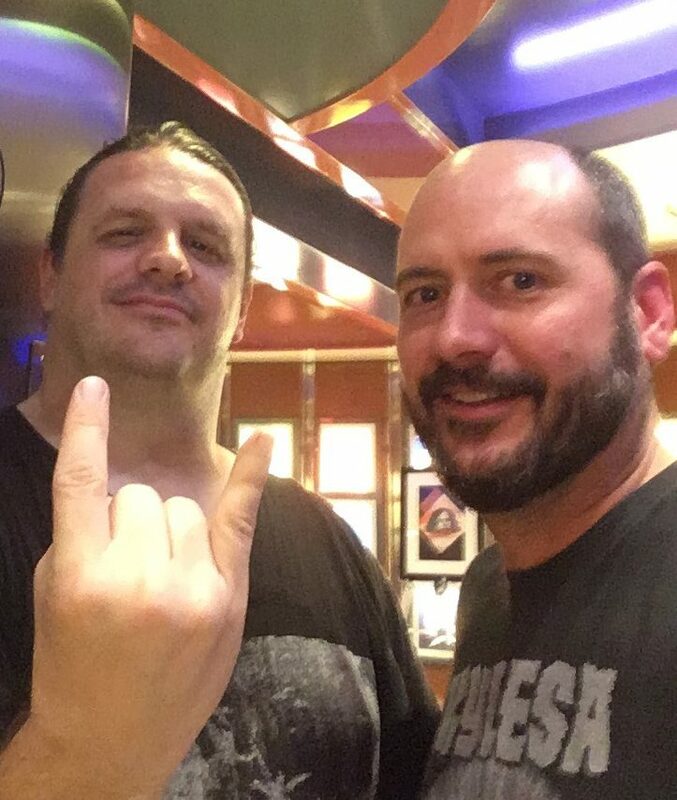 Despite the success of the album and the epic performances on the cruise, he claims that this will be the last time that Swallow the Sun perform Songs of the North I, II & III in its entirety. By playing the triple album one last time, they are closing the door on an epic era in their 18-year career, and they are already looking forward to the future. 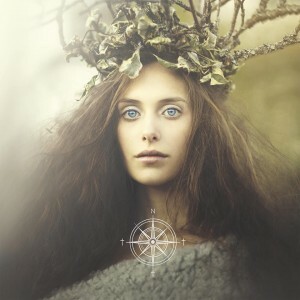 Songs of the North I, II & III was released in November 2015 on Century Media Records. Buy it here! Juha Raivio playing Beauty from Songs from the North I, II & IIIon the Pool Deck stage. 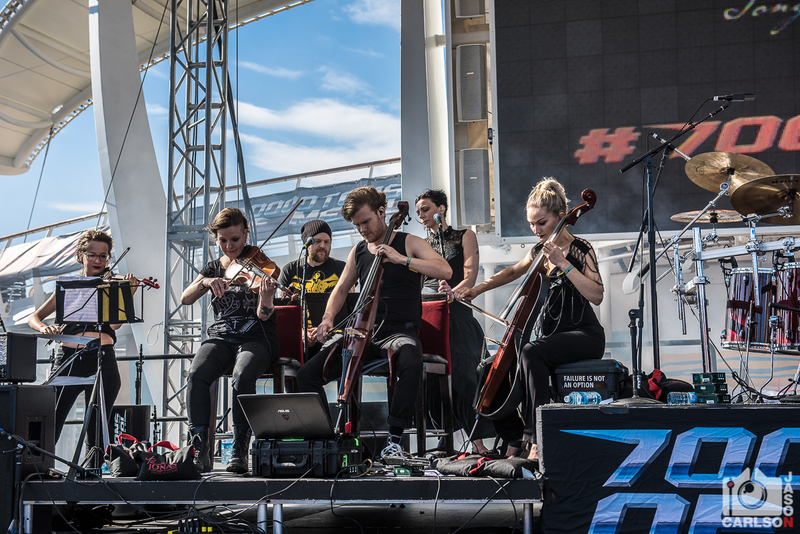 Swallow the Sun joined by backup singers and a string quartet playing Beauty from Songs from the North I, II & III on the Pool Deck stage.